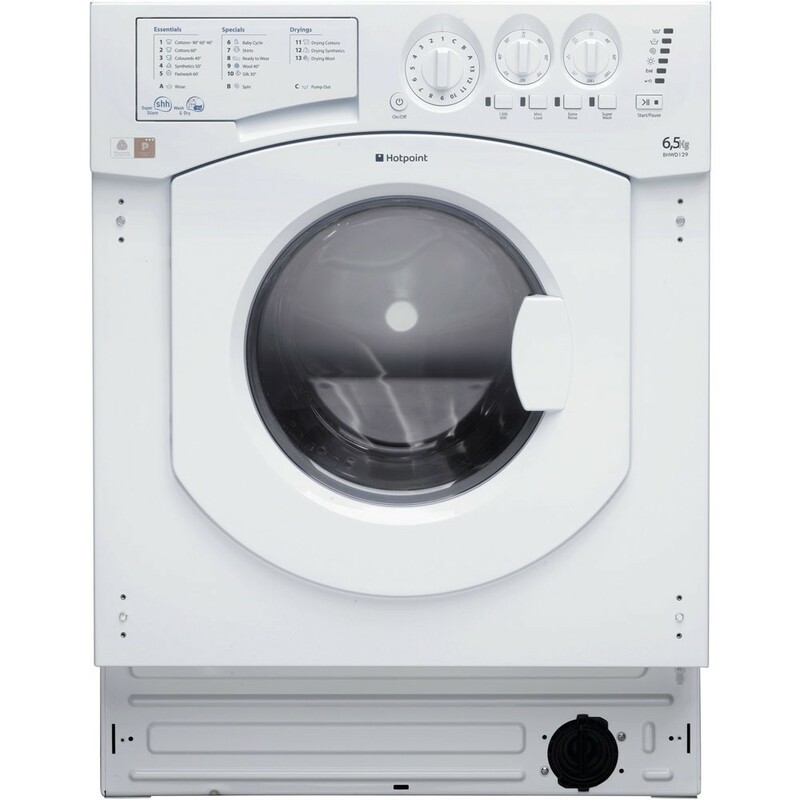 With the Hotpoint BHWD1291 6kg/5kg 1200rpm Washer-Dryer you can choose up to 16 programmes to suit your needs and comes with a 6kg drum plus 1200rpm spin speed. It features a number of washing functions including Extra Rinse, Super Wash and Eco which saves you money on your energy bills. Also includes Drying cycles such as Cottons, Synthetics, Wool as well as Ready to Wear cycle so your clothes will be washed and dried in a short amount of time. Let Hotpoint help look after your little one's clothes. The Baby Cycle has been specially designed to tackle the toughest of stains typically associated with babies and young toddlers, including baby food, fruit yoghurt, mud and grease, giving visibly better results when compared to using a standard 40ºC cotton wash cycle. The Woolmark Platinum Care is certified soft and gentle care for woollens. A delicate wash programme that keeps your woollens as good as new. It uses an extra gentle drum action and low spin speeds to stop clothes rubbing together and keep them looking beautiful for longer.